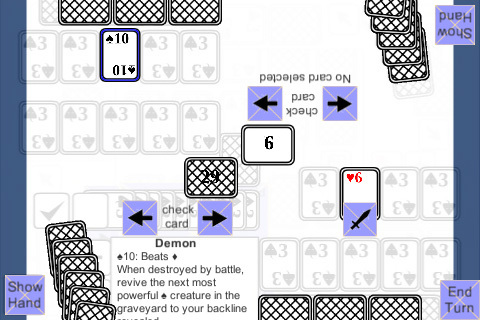 The screenshot shows a card that has an ability when destroyed. The red card on the right negates any abilities that it battles with. So when the 2 fight, the card’s on death ability will not work now. Also fixed a major bug where a flip ability was triggered even when the card didn’t flip. You can also see from the screenshot that the text is cut off at the bottom. What’s next: fix the text issue and adding icons to the preview cards.